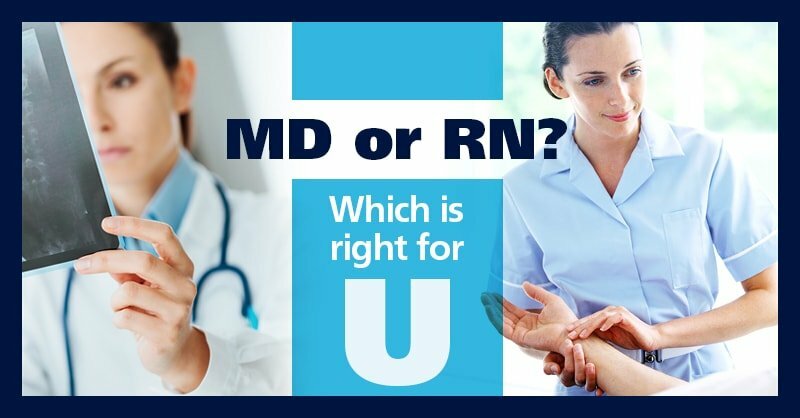 You know you want to work in health care, but you’re having a difficult time trying to decide between medical school and nursing school. Perhaps we can help by shedding some light on why you may want to become a nurse instead of a doctor. As a nursing school, we’re a little biased, but we would never say one profession is more important than the other. After all, doctors and nurses must work hand in hand to deliver the best possible patient care. Nonetheless, here are six reasons we think nursing makes a great career choice. 1. Nurses practice on the front lines of patient care. From administering IV fluids to lending an ear, nurses assist in all aspects of patient care. Also serving as the liaison between doctors and patients, nurses are easily the eyes, ears, and voice of health care, especially in a hospital setting. They not only have the ability to identify and alert doctors of critical situations, but also the holistic perspective to advocate for their patients. As our country’s health care system continues to grow in complexity, the nursing role is following suit by becoming more diverse than ever. It’s increasingly common for nurses to work as health coaches, disease managers, and care coordinators. 2. Nurses are the superheroes of health care. Nurses play a multi-faceted role in health care. A lot of times people don’t fully understand everything nurses bring to the table—unless they’ve spent time in a hospital setting. Nurses are caregivers, innovators, critical thinkers, and patient champions, to name but a few. Not only do nurses understand the implications of short-term illnesses and chronic health conditions, they also have the empathy and interpersonal skills to bring comfort and stability to patients and their loved ones. 3. Nurses stand out more in the minds of patients. Take a look at the annual Gallup poll results for the past decade, and you’ll discover that the nursing profession continuously holds top honors for ethics and honesty. The American public views nurses in high esteem and for good reason. While doctors diagnose and prescribe, nurses focus on the overall well-being of their patients. For nurses, it’s not just about ailments, it’s also about personal connections. If you’ve ever been in the hospital, you know it’s common for doctors to visit patients once or twice a day and for only a few minutes at a time. Nurses, however, are with patients for the long haul, monitoring their progress, administering their medication, listening to their concerns, calming their fears, and so much more. 4. Nurses have more opportunities within their profession. Nurses wear many different hats, allowing them to work pretty much anywhere there’s a need for patient care. Nurses in hospital settings can transfer to different departments or work across several units. Doctors, on the other hand, need to develop in-depth expertise in a specific area. That’s not to say nurses don’t specialize in certain areas of practice. It’s just that nurses carry out a more task-driven, patient-oriented role that allows them to do their job in multiple practice areas and settings. 5. Nurses have better work schedules. While work schedules for nurses differ based on where they practice, the best place to compare the work schedules of doctors and nurses is in the hospital. While doctors are on call 24 hours a day, seven days a week, nurses work in set shifts every week, typically five eight-hour days or three 12-hour days. Furthermore, doctors often have to take home charts and paperwork, whereas nurses don’t. In 2010, the Institute of Medicine published a report that recommended increasing the number of BSN holders in the U.S. workforce from 50 to 80 percent by the year 2020. The American Association of the Colleges of Nursing recognizes a BSN as the minimum education requirement for professional nursing practice. 6. Nurses can enter the workforce faster. Doctors are required to spend a lot more time in school as well as complete a multi-year residency before they can officially enter the workforce. Nurses, on the other hand, can choose their level of education. It’s possible to earn RN licensure and begin practicing as a nurse with a two-year nursing degree. However, nowadays, most health care employers prefer to hire nurses with a baccalaureate education or higher. With a BSN, it’s possible to significantly expand your scope of practice by earning an advanced degree or becoming certified in a particular specialty. If you could see yourself becoming a nurse instead of a doctor, you should check out our ABSN program for second-degree students. 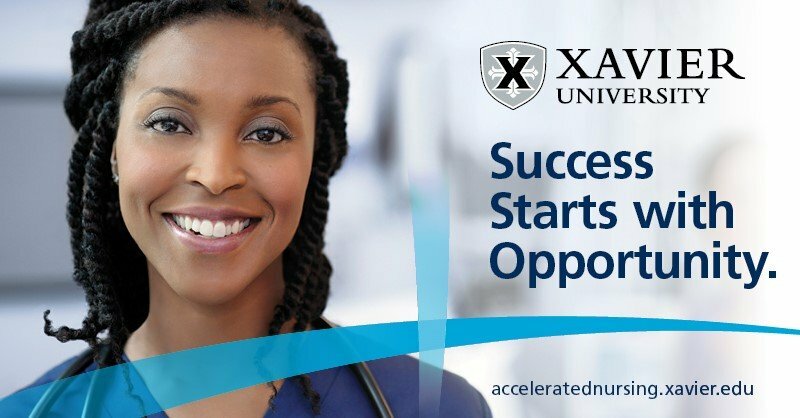 By holding a non-nursing bachelor’s degree, this program makes it possible for you to graduate as a practice-ready nurse in 16 months. So what are you waiting for? Contact our admission team today!